Once the card layout is finalised a Cromalin is produced. Cromalins represent the first ‘final’ version of a toy’s packaging, and are used to ‘proof’ or pen changes to the design, colour, text and layout of a design. Many Cromalins in collector’s hands have changes penned on them. These changes can actually be seen further down the design chain and on manufactured product – they often constitute something minor, such as a colour change or the addition of a trademark. Theoretically the final cromalin produced for each item would be clean with no further changes marked. ‘Cromalin’ is a trademark of DuPont, who produced the paper which the designs are printed onto. Cromalins exhibit a unique ‘sharp’ photo-like quality, with a satin finish and sometimes incredibly vibrant colours. Cromalins were quite expensive to produce. 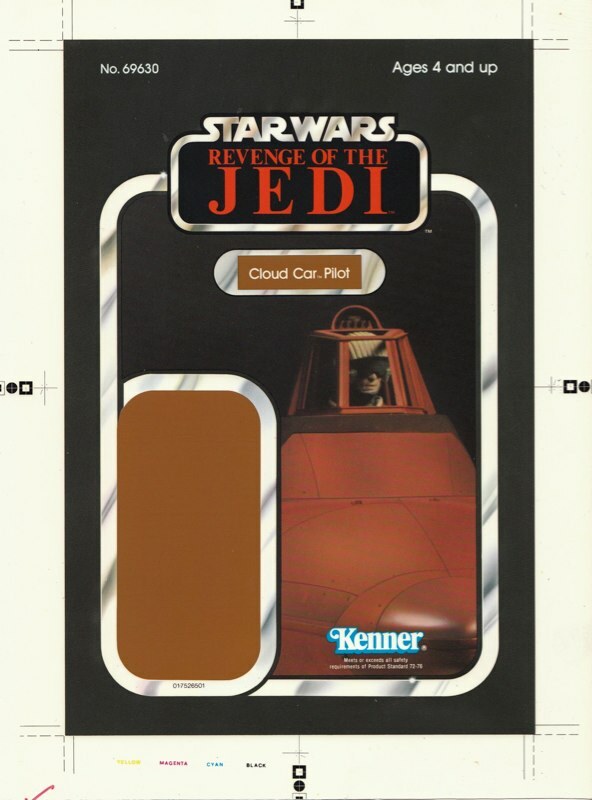 In a time when Kenner didn’t have access to desk top publishing and colour printers, this meant that they were produced only as required, and therefore the vast majority of Cromalins in existence today are one-offs. 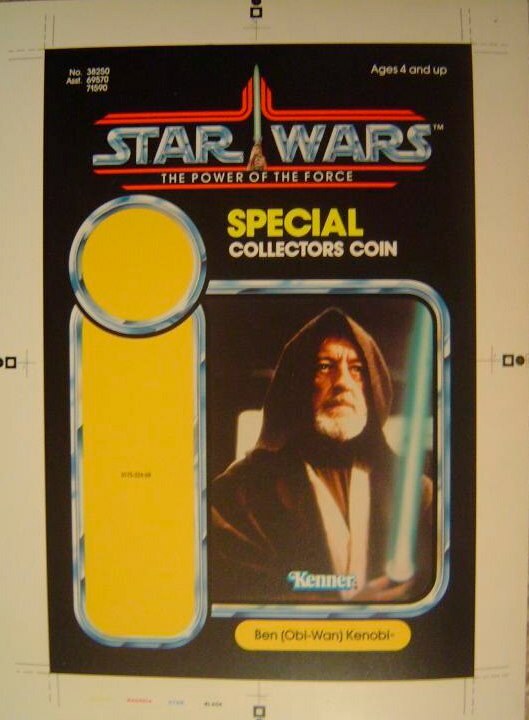 Cromalins for figures, creatures and vehicle packaging from each of the Star Wars film titles have found their way into collectors hands over the years. As you would expect for an early prototype created in quite small numbers, all Cromalins are rare. 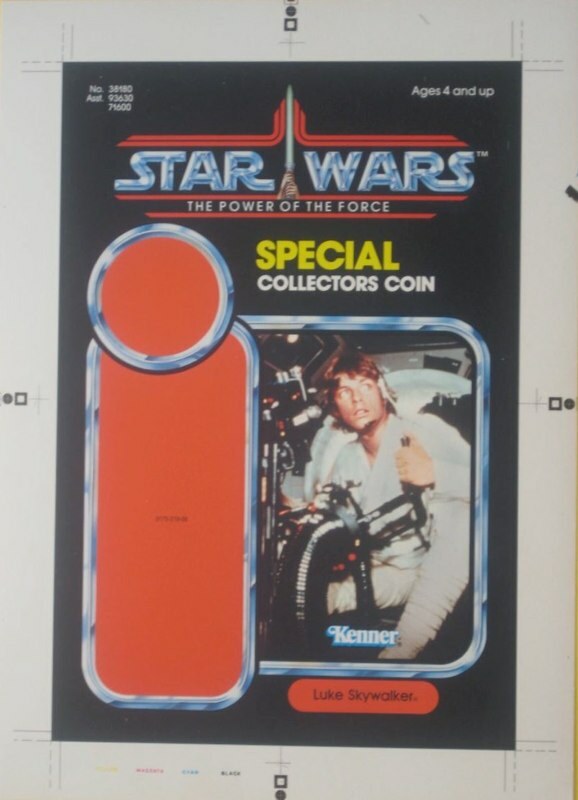 Simply by virtue of the number of designs required, Cromalin examples of Star Wars and The Empire Strikes Back packaging are rarer than Return of the Jedi and Power of the Force designs. 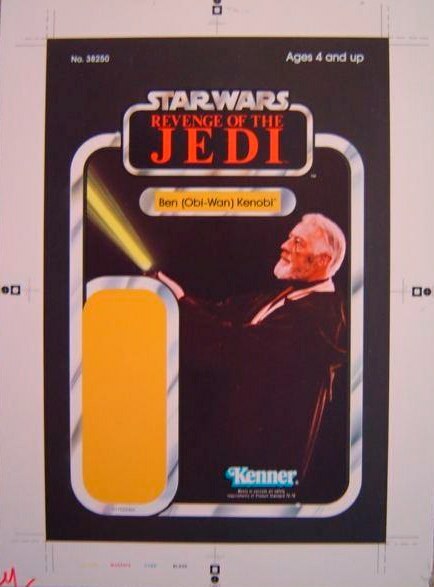 A number of Cromalins also exist for Revenge of the Jedi card designs and are sought after by collectors as an example of a prominently unproduced design. Interestingly, the Nien Nunb offer Revenge action figure card Cromalins are by far the rarest of all – which seems odd given the relatively vast number of cardboard proof cards that exist for this design. 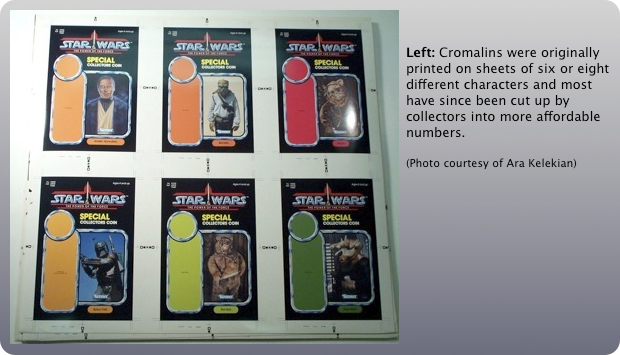 The Cromalins collectors covet today have originated from several sources, although primarily they’ve come from a large quanitity of items taken from Kenner’s Marketing Archive. 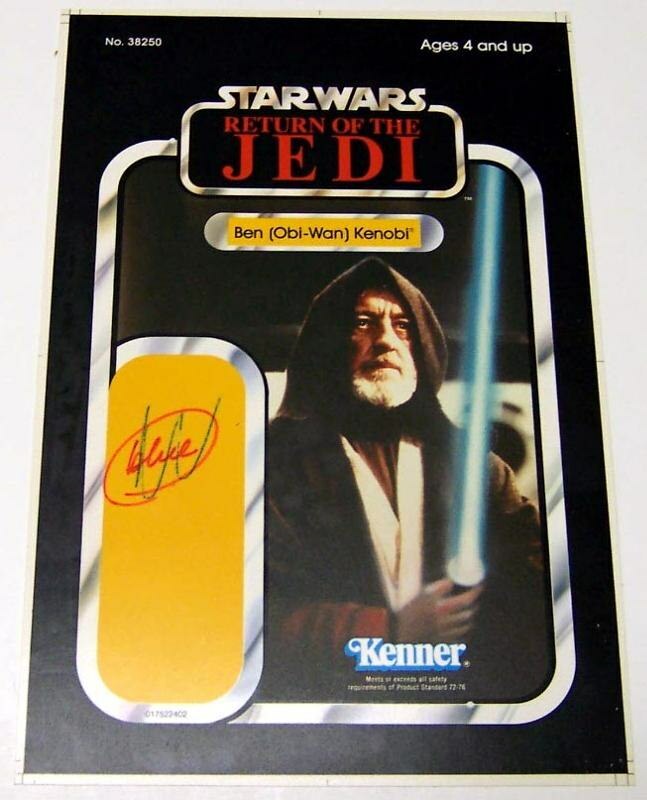 An employee kept these to sell off, most of them came on the market in the late 1990’s. 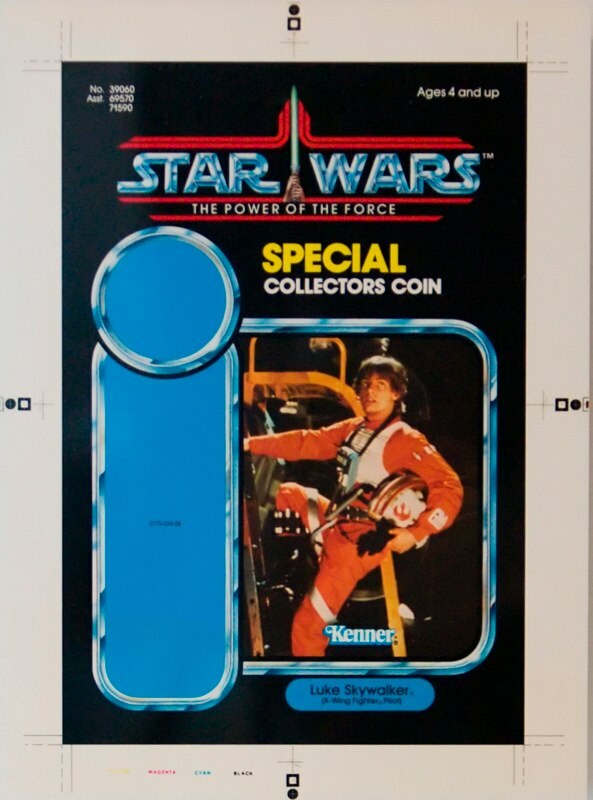 Other examples may have been saved by Kenner employees who perhaps wanted an example of an item they worked on, or were perhaps even saved by early collectors delving through the infamous Kenner dustbins in Cincinnati.